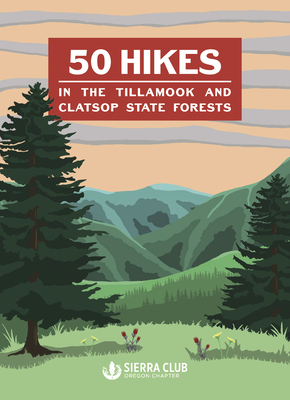 50 Hikes in the Tillamook and Clatsop State Forests provides hikers the chance to explore and experience the ever-changing environments of these forests through the studied eyes of the Sierra Club. This updated edition contains current trail information, path descriptions, driving directions, and regional history on some of Oregon's lushest yet unexplored trails. 50 Hikes includes a new introduction written by Daniel O'Neil, which details the history of this wondrous region; a foreword by Robert Kentta, cultural resources director of the Confederated Tribes of Siletz Indians; original illustrations of its plant life; and photographs collected by Sierra Club members. Readers will be imbued with a full sense of wonder for these forests. From coastal plains to canopied forests, 50 Hikes celebrates the adventurous landscapes of Northwest Oregon by revisiting the Sierra Club's iconic 2001 guidebook.